Fashion21 Perfect Stick, Two-Way Cake with Papaya Extract and Color Bar* | Vanity and Everything in Between. Here's my first local brand review for this year! Fashion 21 Cosmetics has been around since 1985 in the local market - for 31 years now! 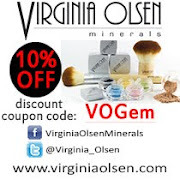 When I was starting with my makeup collection, I bought several products from this brand. My favourites were the lipstick [Little Mermaid and Bronze], eyebrow powder and mascara. They're cheap and they work! 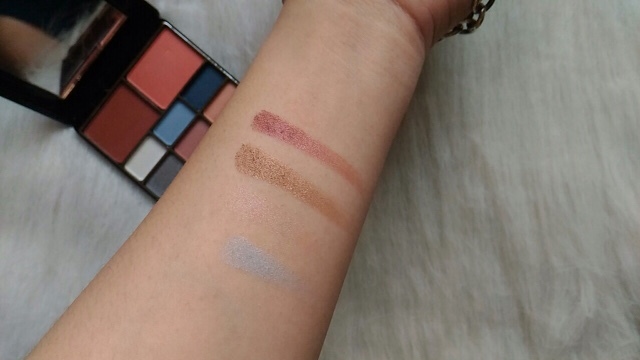 The brand was generous enough to send three of their products to try - Perfect Stick Concealer, Two-Way Cake with Papaya Extract and Color Bar [eyeshadow and blush palette]. 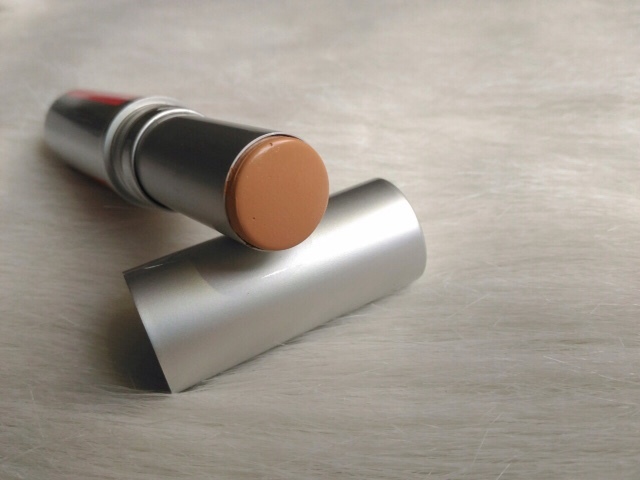 The Perfect Stick* Foundation and Concealer combo helps you look alive by evening out your skin tone. Use it as a concealer for your underage bags when only had 3 hours of sleep. Use it as an everyday foundation. It's in stick form and you can actually use this without a brush. Use your fingers to blend the foundation on your face! It's also travel friendly that you can easily toss this in your bag! 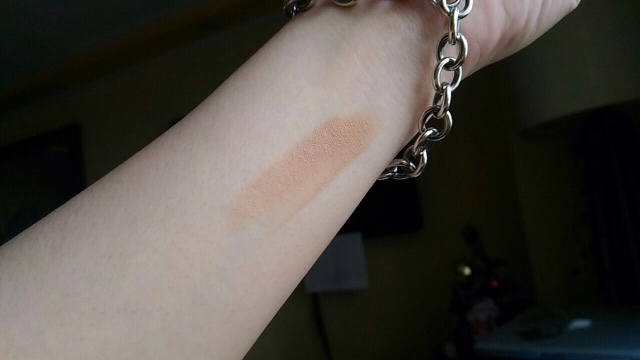 I got the shade in Warn Natural and it's way too dark for me as you can see on the swatch below. I can see peach/salmon tones though so I decided to use this mainly as concealer. Next is the Color Bar #3*. I've used this before back in college. 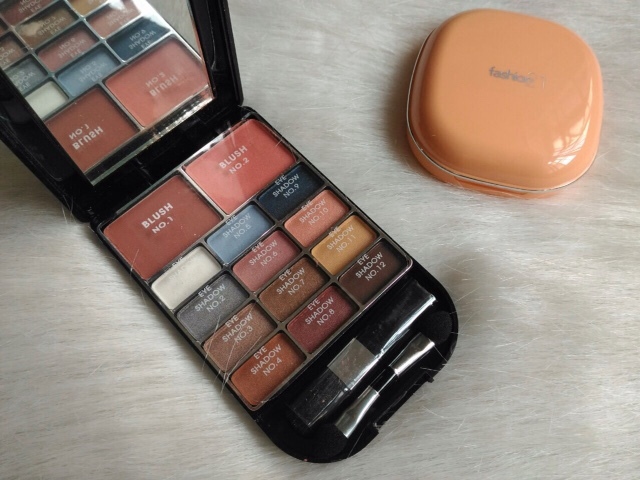 It had been our go-to makeup kit on a spontaneous night out! My friend always had this on her purse and I end up borrowing her makeup during those times. Haha! We mainly used one eyeshadow only and use our fingers to blend, blend blend! Here's a closer look of the palette. 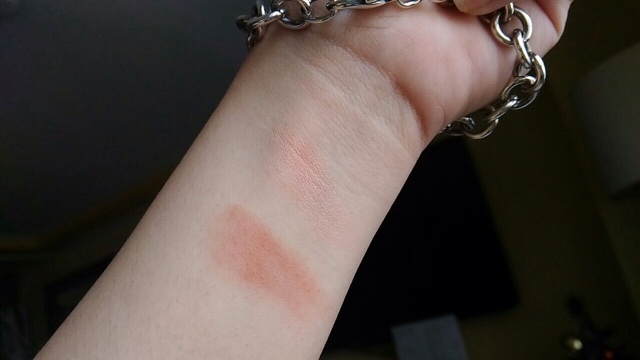 Swatches of the blush - terracotta and baby pink. They both have shimmer. 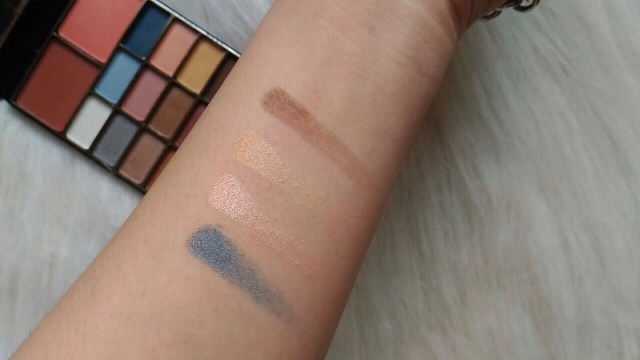 Swatches of eyeshadows #1-4. Still with shimmer. I had to swatch twice to show the color. They're quite sheer. Swatches of eyeshadows #5-8. Still with shimmer. #s 5 and 6 are sheer but look at eyeshadows #s 7 and 8! Oh, hello! Now, we're talking! 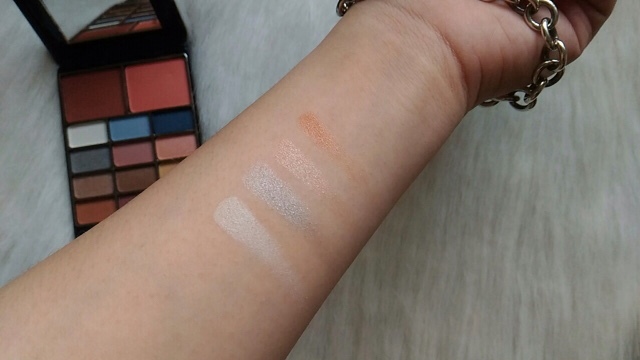 Love the two shades despite the shimmer! Swatches #9-12. 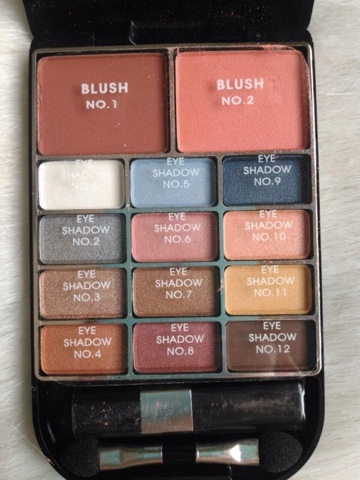 I love these shades as I can see myself using them frequently. #s 9-11 have shimmer. Eyeshadow #12 is the only matte shade and I'm glad it's brown! It can works as contour or brow powder, too! 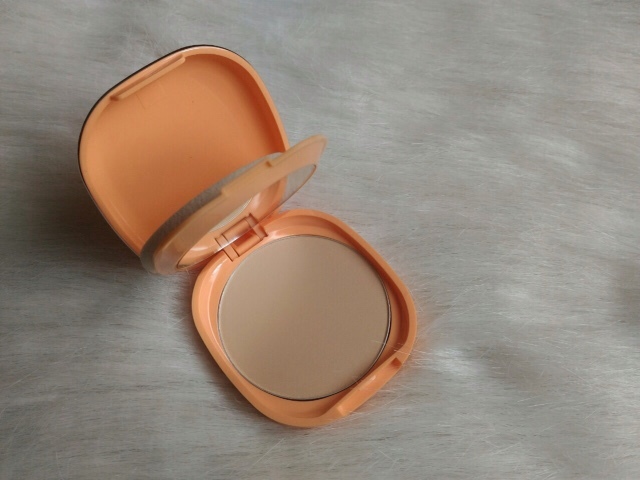 The Two-Way Cake with Papaya Extract* is a very fine milled face powder. It's surprising actually since I wasn't expecting much with this powder. The shade I got is #1. They don't have shade names just numbers. Boo. It looks quite pale on the pan but somehow disappears on my face. 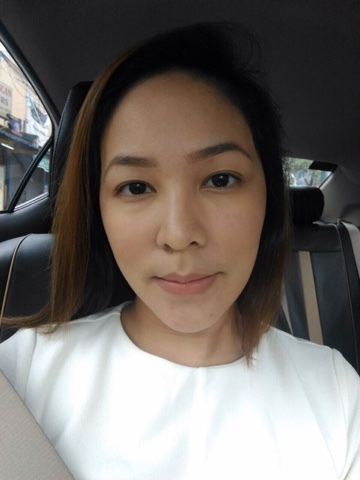 Here's a simple no-makeup-makeup-look using the three products. I used the Perfect Stick concealer on my underage bags and chin. Unfortunately, it wasn't able to conceal the dark spots on my chin. It also felt like it wasn't sticking on my face which I don't understand why. I set the concealer with the Two-Way Cake. I like how it managed to make my face look smoother than it actually is. For me, this is like a setting powder since it's very light. If you want a heavy coverage, wet the sponge before application. For a lighter coverage, use a face brush. Lastly, I used Color Bar on my brows and cheeks. I was expecting to get a lighter reddish brown brows with the matte brown eyeshadow. But hey, it looked dark brown instead. But it's probably because of my default black brows. Staying power of the eyeshadow on my brows was up to 6 hours! No primer whatsoever. For the cheeks, I used Blush no. 1 very lightly then a swipe of Blush no. 2. It had shimmers so I toned it down with the Two-Way Cake! There you go, an undone face. 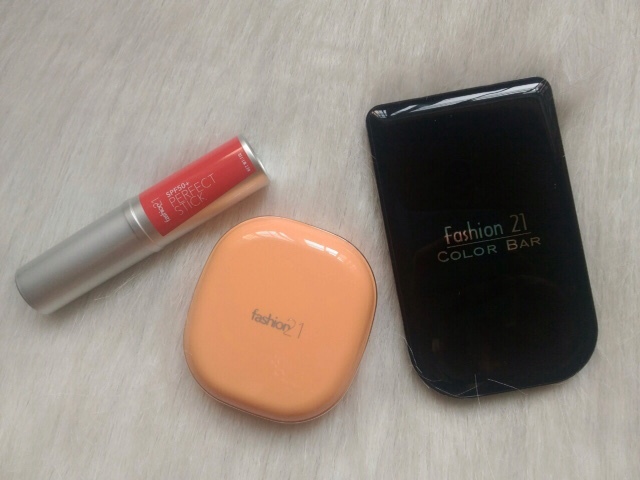 Fashion21 Perfect Stick retails for PhP195, the Two-Way Cake for PhP185 and Color Bar for PhP150. 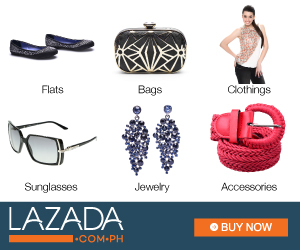 The brand is available at all leading department stores nationwide.